You may not physically be near each other, but your hearts can stay together no matter what. Wish your special someone a Merry Christmas, Happy Valentine's Day, Birthday or Just Because with this thoughtful card. 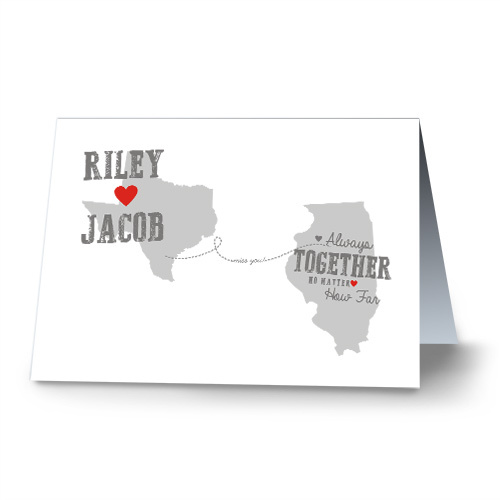 We'll custom personalize the front of your card with any two names along with any two states. We'll then personalize the inside of your card with your very own personal message. Folded greeting card measure 5" x 7" printed on premium heavyweight card stock. 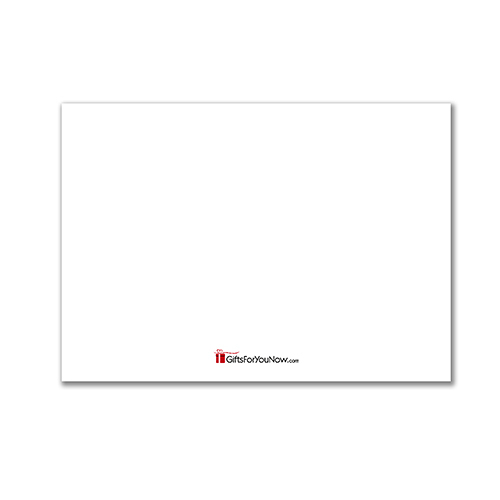 Includes crisp, white envelope for mailing.